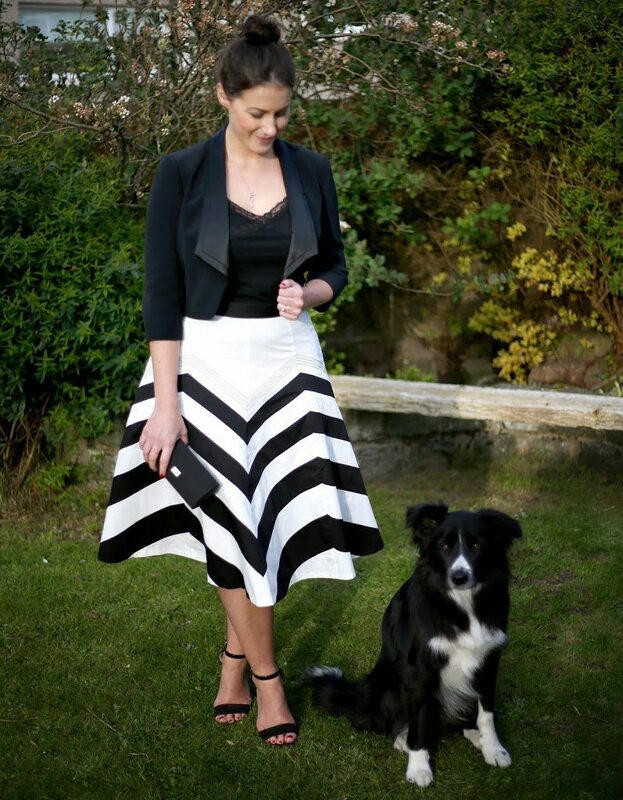 As soon as I saw this skirt in the M&S Leading Ladies campaign I knew I had to try it on! I’ve been a fan of the full midi skirt since I was around 21 and now that it’s in fashion again, I’m totally making the most of it! 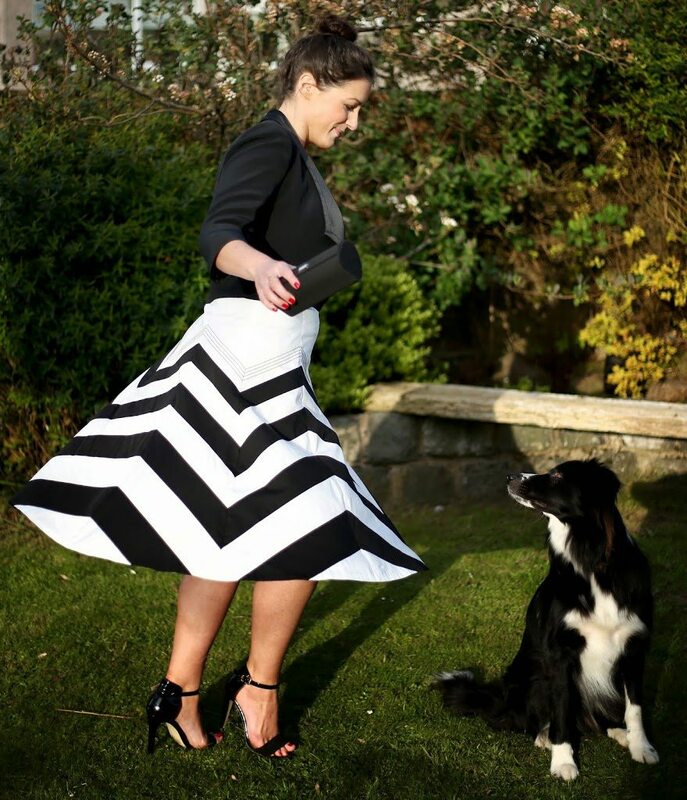 This black and white chevron number by M&S will suit women of any style and age: it’s a great fit, fairly high waisted and a good length. 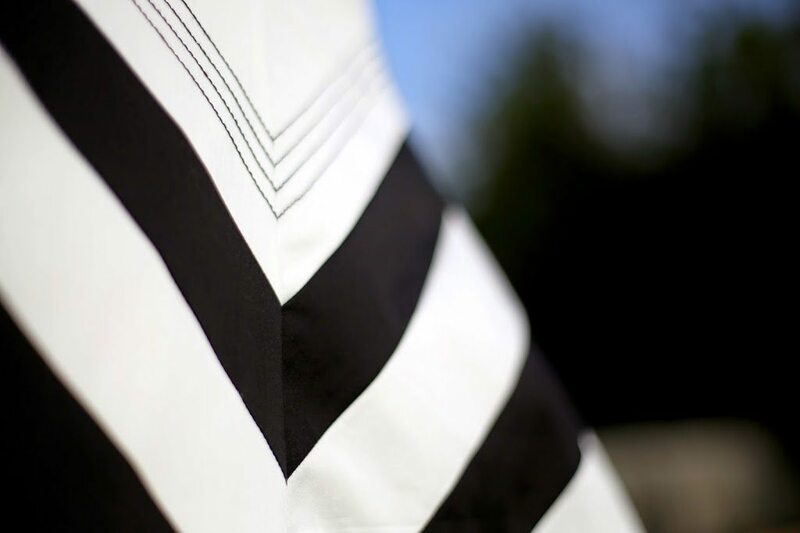 It’s pure cotton so is lovely and light for the summer season, and the chevron/stripe design is super on-trend. 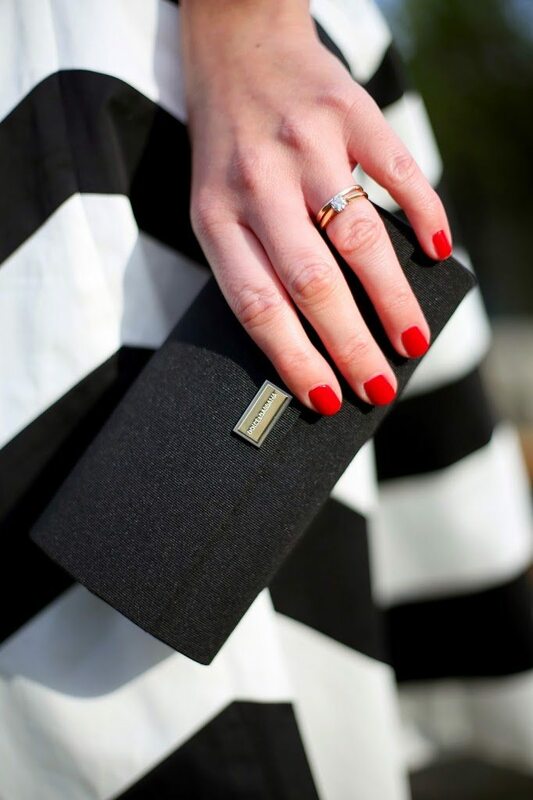 The black and white makes it an easy yet fabulous option for evening wear: I teamed mine with a cropped tux jacket by Jaeger, Primark sandals (that everyone bought in every colour), along with a Dolce & Gabbana clutch*. To finish, a top knot keeps the skirt from looking overly girly, particularly if – like me – you feel the urge to twirl all evening.